I am always surfing the web (especially Pinterest) trying to find some cool crafts, recipes and activities I can do with my toddler. My bookmarks folder on my laptop were full of interesting activities for kids but it seemed like I never do anything from there. It was there, but not in my plain sight and that was the problem for me. 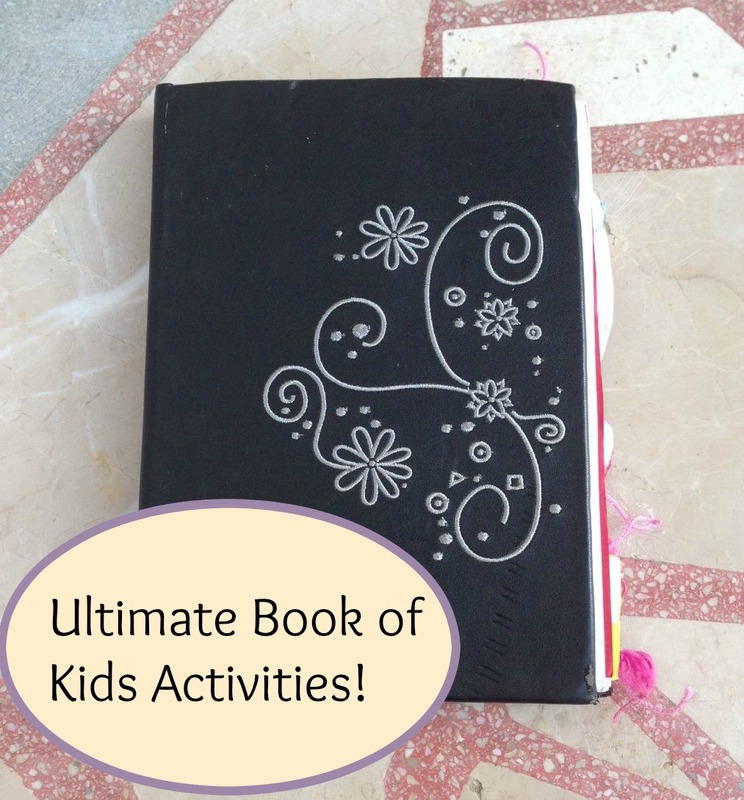 That is when I decided to make my own ultimate book of activities for kids. Just a simple black notebook, right? Well, it’s not! I spend almost a year to fill every single page with wonderful activities for kids and it’s finally done. 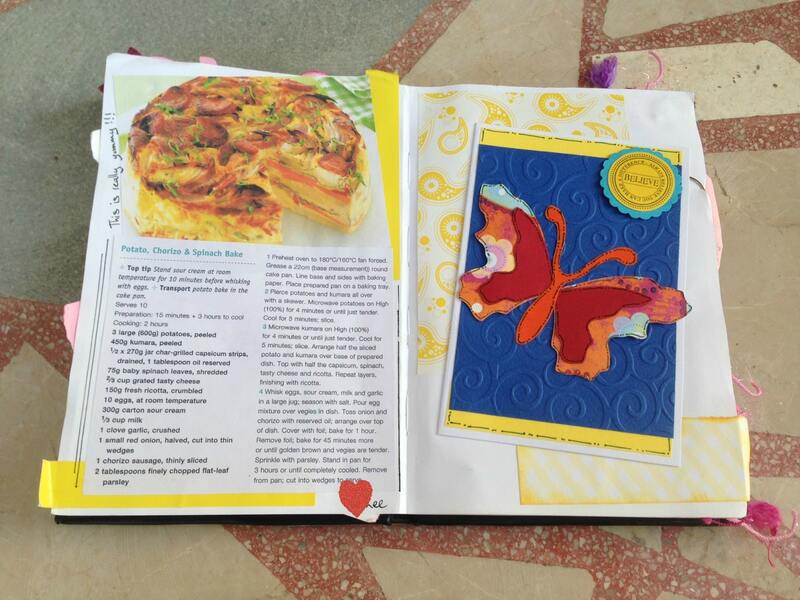 It has family recipes, interesting crafts, even some life advice I wanted to pass on to my daughter. Pick a notebook with hard cover. You will use this book on a daily basis so it’s better for everyone to be the best quality. Start simple. Write down your favorite activities, crafts or recipes on a piece of paper. Choose one activity to start with. Use your favorite pencils, scrapbooking material, buttons, newspapers, whatever you like. And just start decorating your notebook. One activity by one. The best thing about this is that every page can be completely different from one before. Let your imagination go crazy! 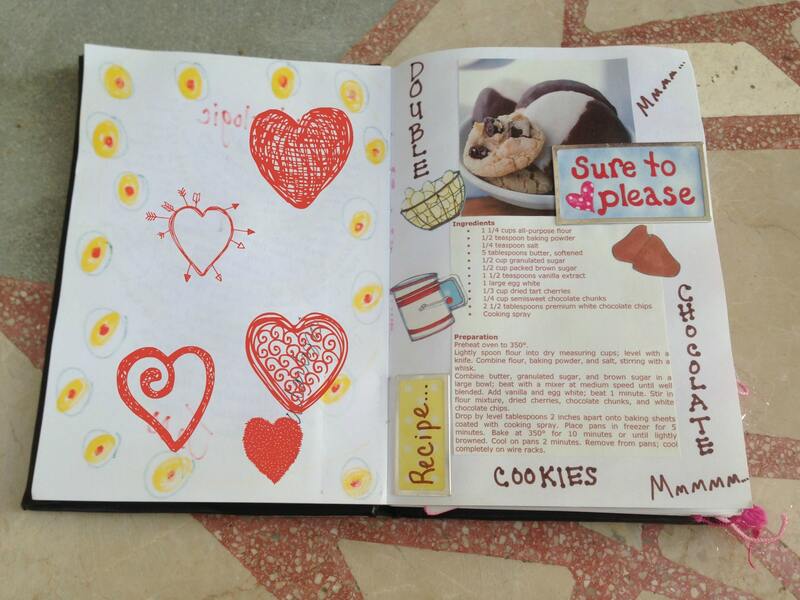 When you seem stuck and don’t have enough inspiration to move on, just give the book to your friend and ask her to write down her favorite activity or recipe for kids. You will be surprised with how creative your friends can be! Or give to your husband and see what does he has to say. If you still don’t have an idea what to include, you can choose something from my list ‘101 Things to do with your Toddler this Weekend‘. This will be a great memory for your kid (and grandchildren) one day and it can even be a beautiful family legacy. I know I would love to have something like this from my parents or grandparents. Imagine how cool would that be? How adorable! I love stuff like that. It’s practical, but it’s also the perfect keepsake. You did a great job. What an adorable idea! I love, love, love what you did! What a fun idea. I love how it is something more concrete than just a typical Pinterest board. I LOVE this! 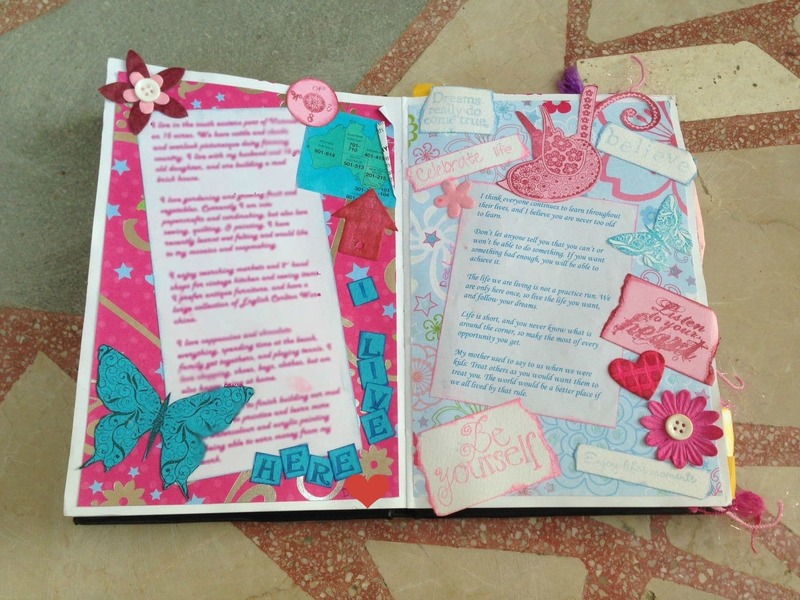 Adding each wonderful image to my “journaling” board on pinterest. We’ve used Smash Books for school before, and I scrapbook for them, but I never thought about this angle. Thanks for sharing! How fun! Love the pages you showed. Just beautiful. And a great idea for creativity with kids. I just found this – and I love the idea. As wonderful as Pinterest is, so much gets forgotten when I have 679 ideas pinned to one board. I love this idea. It is so cute and adorable, and yet something that the kids can treasure for years to come. Thank you for sharing this idea with us. what a great idea – I’m a grammi now and wish I’d done this with my kids when they were little. Making up for it now. 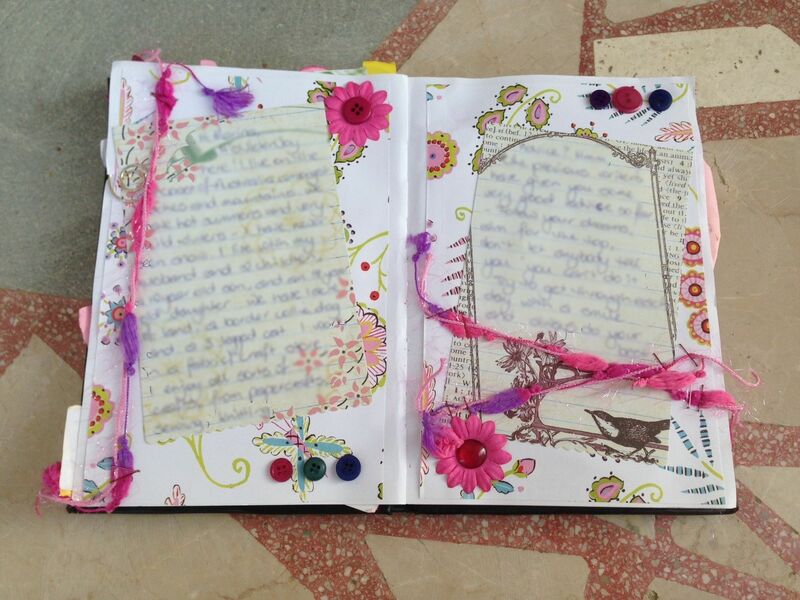 Just started journaling, so it’s going to be fun adding memories of days gone by and new memories! Pictures, verses, poems, random thoughts, drawing, favorite recipes, games, etc. Thank you so mch for sharing and inspiring this grammi to leave a legacy for child, grandchildren and beyond!